According to Pantone, purples have been historically symbolic of unconventionality and artistic expression, calling to mind icons like Prince, David Bowie and Jimi Hendrix. 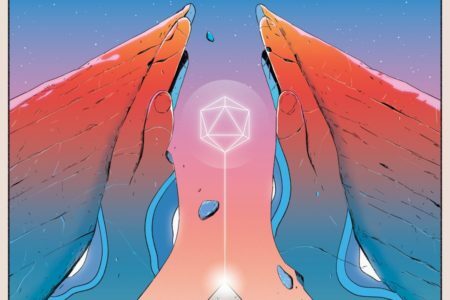 Emotionally, Ultra Violet inspires individuals to explore their unique position in the world and evolve creatively. Ultra Violet is also symbolic of mindfulness and spiritual growth. 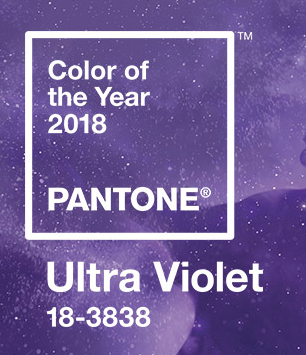 Perhaps Pantone’s decision for 2018 “Color of the Year” forecasts that we can expect technological advancements and a collective spiritual awakening in the coming year. At the very least, it can serve as a reminder to look up at the stars and recognize that all of us are so very small in relation to this vast universe we call home.